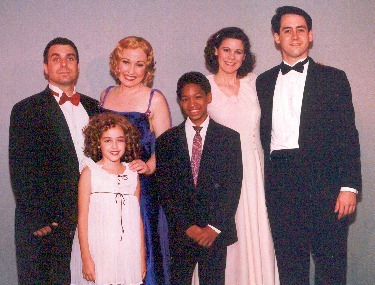 With the cast of Come and Get Your Happiness: Songs from the Films of Shirley Temple, which played 10 performances at Danny's Skylight Room and Don't Tell Mama in NYC. L. to. r. Ramona Fishcer, Michelle, Joe Farrell, frt row, Darnell Haynes & Carissa Farina. 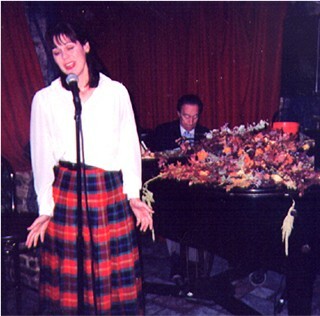 Singing with Ben Martini at The Oaks in Greenwich Village. 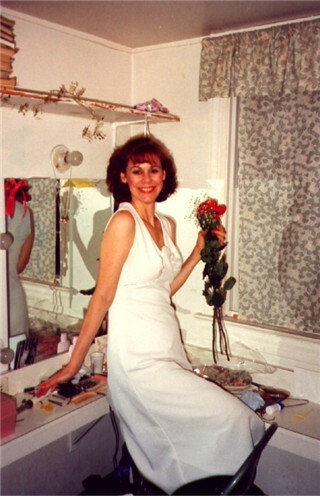 From the May 2002 performances at the Dunellen Vaudeville Theatre in New Jersey with Ashley Birmingham, Sofie Zamchick and Laura Oseland.